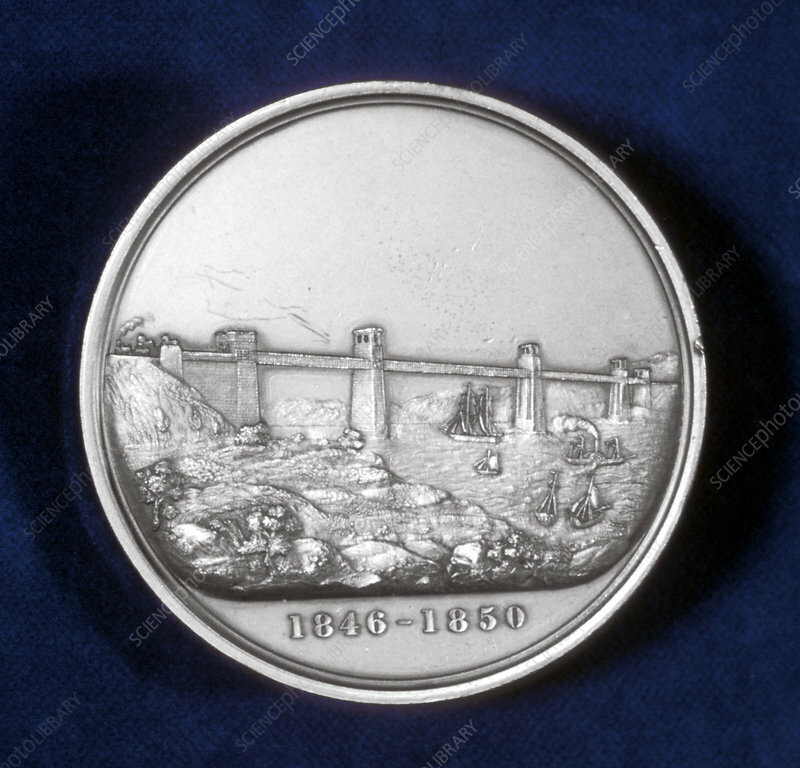 Medal commemorating the building of the Britannia Tubular Bridge, North Wales, c1850. The Britannia Tubular Bridge was designed by Robert Stephenson (1803-1859). Construction began in 1846 and the bridge was opened on 18 March 1850. It was constructed to provide trains of the Chester and Holyhead Railway with a passageway across the Menai Straits from mainland Wales to Anglesey. The railway terminated at Holyhead, which became a major port for travellers to Ireland.